One of the best things about Johannesburg is that it’s in a constant state of change – so there are always new experiences to be had (and older ones that you can't get enough of). With spring on the horizon, we thought we’d highlight a few. First Thursdays Johannesburg has made quite an impression on appreciators of art and has grown in popularity, crossing age divides and providing free, culturally enriching experiences. It allows you to explore the city’s vibrant and complex culture. There is a feast for the senses on the first Thursday of every month, as art galleries and other cultural attractions in Rosebank, Braamfontein and Maboneng stay open until late. Visitors can enjoy select exhibitions and attractions to the sounds of live bands, with eateries and food trucks on hand to satisfy their taste buds, too. First Thursdays are best attended with an open mind and a spirit of adventure. If you’re keen, the next event is on 7 September 2017, from 5pm to 9pm (and later depending on respective establishments). 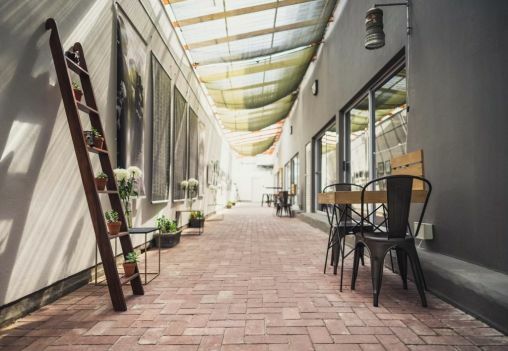 The Keyes Art Mile in Rosebank (a stone’s throw away from Rosebank’s malls) is a recent initiative that has completely revamped the previously quiet street, turning it into a vibey art and lifestyle hub. It began with the Trumpet building, which opened a year ago (September 2016) and houses a collection of art, design and lifestyle establishments. Here you can enjoy art and designs from leading global artists on display at the collaborative gallery from Southern Guild and Whatiftheworld. There’s also contemporary art featured at the SMAC Gallery, and designer boutique stores. In addition to the Trumpet building, you’ll find a number of eateries and boutiques along this strip. There’s BGR, a classic American-style burger joint, and the Milk Bar, a retro-chic African café with plenty of rustic charm that serves up coffees, breakfast and pastries during the day, and drinks when the sun goes down. And there’s an array of designer boutique stores, including Italian furniture designers, Cassina. Then at the very top of the Trumpet building is renowned chef David Higgs's live-fire rooftop restaurant, Marble, which boasts stunning views over the suburbs. Find the Keyes Art Mile at 19 Keyes Avenue, Rosebank. For info contact [email protected]. Marble restaurant could be considered the crowning glory of the Trumpet building, as it occupies the building’s massive rooftop. Chef David Higgs is passionate about cooking on fire, and Marble boasts a grand wood-fired grill imported from the US. Marble’s unique taste and style is a combination of the open-fire trend seen worldwide, and South African flair and flavour. The Butchery by Marble is an upmarket gourmet butchery and the latest Marble addition. It can be found on the ground floor of the Trumpet building, offering some really special cuts for meat lovers. Here you’ll find everything from lamb, pork and chicken, to game and even rabbit. It also stocks convenience products such as deboned cuts, cured meats and prepared veggies. Unlike your usual butchery, this one has wine and cheeses, and a few tables for customers to relax and indulge while waiting for their orders. Find Marble restaurant at Trumpet on Keyes, corner of Keyes and Jellicoe avenues, Rosebank. Call +27 (0)10 594 5550 for bookings and more information. 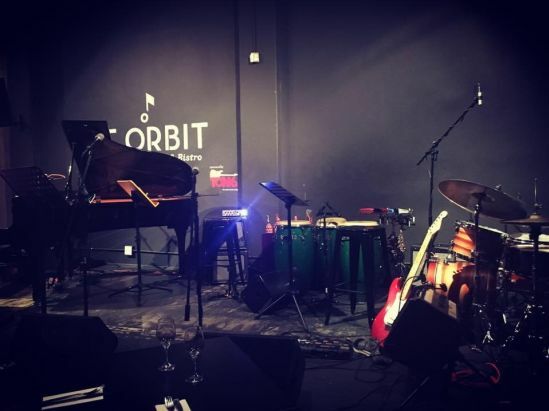 The Orbit is a live music venue and bistro where you’ll easily find the best jazz in Johannesburg. 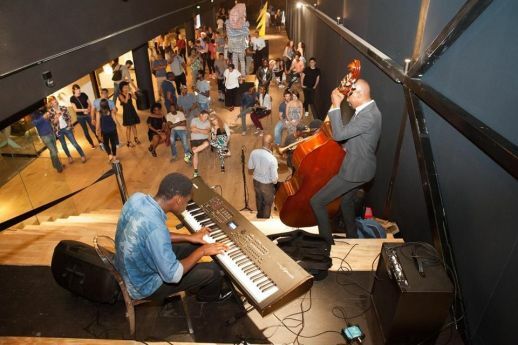 It’s at this vibrant establishment in Braamfontein that musicians are given a platform to express their creativity, while jazz aficionados can enjoy smooth sounds over a beverage and some delectable dishes. Partners Kevin Naidoo and Dan Sermand are committed to the promotion and support of local musos, and aim to establish the finest live music venue in the country. For bookings and information, call +27 (0)81 534 2867 / +27 (0)11 339 6645 or email [email protected]. Find The Orbit at 81 De Korte Street, Braamfontein. The new Alice Lane Precinct, in the middle of the Sandton CBD, just across from the Sandton Sun Hotel, has been transformed from an uninviting, closed-off office park to a classy and welcoming public square. It now checks all the social and lifestyle boxes, populated by smart cafés, upmarket restaurants and several other dining hot spots that cater to the business crowd. Many renowned eateries and establishments have now taken up residence in the Alice Lane Precinct to meet the growing demand for stylish, quality eateries. 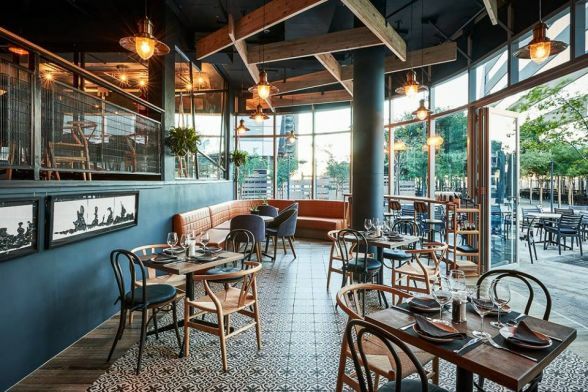 The Grillhouse Sandton has moved to a prime position at the far end of the Alice Lane Precinct, boasting a terrace that facilitates the best panoramic views over the northern suburbs. Its New York steakhouse-style atmosphere and foods make it the perfect addition to this affluent and busy business district. Also in the precinct is a branch of Krunch, the popular build-your-own salad bar. The elegant Wishbone Cafe Bar & Bistro has also moved into a charming spot in the precinct, and is decorated with contemporary sculptures. It also offers more bang for your buck with its weekday Express Lunch of soup, a sandwich, sushi and a coffee for under R100. At the FotoZA gallery it’s all about photographic fine art, with a focus on raising the profile of photography in South Africa and restoring it as a respected art form. Based at the Mall of Rosebank, it’s a place where Johannesburg's photographic community can meet and mingle. It’s here that they network, exchanging creativity and ideas while enjoying a much-needed cup of coffee or just working in a modern space. 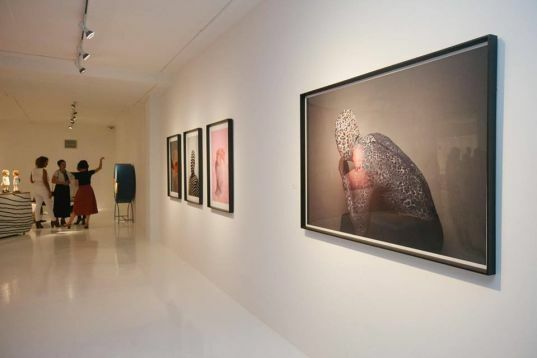 Browse through the art on display and submerge yourself in the beautiful and striking world of photographic fine art. Gallery times are 10am to 5.30pm from Monday to Friday, 9am to 4pm on Saturdays and 10am to 4pm on Sundays. Find it at Shop 402, Level 4, Rosebank Mall, 50 Bath Avenue, Rosebank. For information call +27 (0)11 327 6376 or email [email protected]. With so many adventures to be had in Johannesburg, and specifically the Rosebank area, it’s a good thing that our Green Tour starts in Rosebank. So whether you’re a newbie exploring the city, or a resident looking to reacquaint yourself with all the unique and wonderful places it holds, why not hop on a red bus for the day and enjoy some of these latest additions to Johannesburg before or after you hop on the bus?